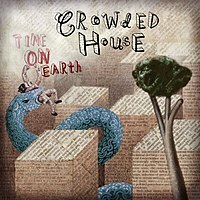 I’ve loved Crowded House all my life. Certainly since I got to Australia, and since I started using English as my primary language. I woke up every Saturday morning early to see where Better Be Home Soon was charting when I was 7. I danced in my bedroom to Locked Out (a minor hit thanks to Reality Bites). I bought Recurring Dream when it came out, and watched the news over and over when they announced they would split. I was there with them when they did, steps of the Sydney Opera House, that magical night. I followed Neil Finn, felt my heart break when Paul Hester died, and after all that, I had no idea what the hell to expect from a new Crowded House album. Maybe it should have been the third Neil Finn solo album. 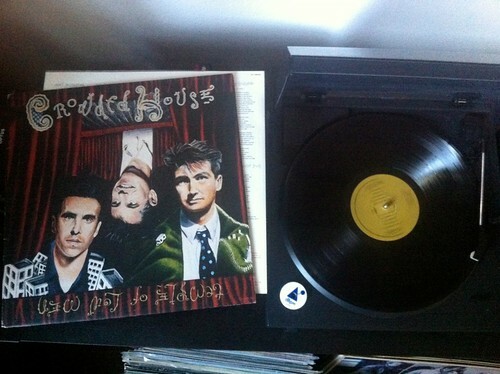 But with Hester‘s death, I guess Crowded House was on the brain. Having worn out every note of those 4 original albums, I was surprised and relieved that this album is great as well. For the man who wrote Something So Strong, and co-wrote Weather With You and It’s Only Natural, I forget sometimes that Neil Finn‘s default setting is melancholy. And this is mainly a sad, winter record. I don’t think it really confronts Hester‘s death directly, but it does skirt around with mortality. It’s not as strongly melodic as some of Finn‘s previous work, but neither was Together Alone or Temple Of Low Men. It’s subtler, but the songs are, without a doubt, still there. The gentle, floating, sad-faced opener of Nobody Wants To leads us into the first single, the urgent and anxious Don’t Stop Now. She Called Up, by far the poppiest thing on the album, hits you in the face, before settling into a series of masterfully crafted ballads. Amongst these is the ‘noble’ Pour Le Monde. The electronica experiments have faded away. And following on from the great Everyone Is Here, it’s a pretty straight and honest recording, with a bit of strings here and there. At 14 tracks, it’s one of the longest albums Finn‘s ever out his name on, and maybe it could have lost a couple of tracks. My favourite track though, is You Are The Only One To Make Me Cry. It’s just so well written it drives you nuts. For a songwriter, this is showing off. It is just so great. Just like I think Message To My Girl is a superior re-write of his brother Tim‘s Stuff And Nonsense (very similar, chord wise, structure wise), YATOOTMMC sounds like an update of Tim‘s All I Ask from Woodface. String-heavy, reflective and gorgeous, and one of Finn‘s best lyrics. At the time of this writing, there is a new album due in a few short months and Australian tour dates. I’m excited for what can come next. Crowded House – Don’t Stop Now. Their first new song in 10 years.